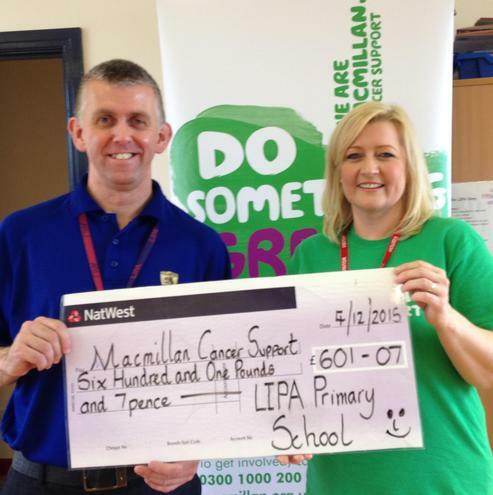 As part of Macmillan Cancer Support’s annual flagship fundraising event, World’s Biggest Coffee Morning, LIPA Primary School pupils held an afternoon of coffee, cake and creativity to raise an impressive £601.07 to support people affected by cancer. Lisa Wild, Macmillan’s Fundraising Manager for Liverpool, Wirral and the Isle of Man, visited the school on Friday 4 December to receive a cheque, which was presented by Year 1 pupils at the school. Speaking to the pupils at a special assembly, Lisa thanked them for all their hard work, which was especially impressive given that the school currently only has four classes – two in Reception and two in Year 1, making a total of 104 pupils. 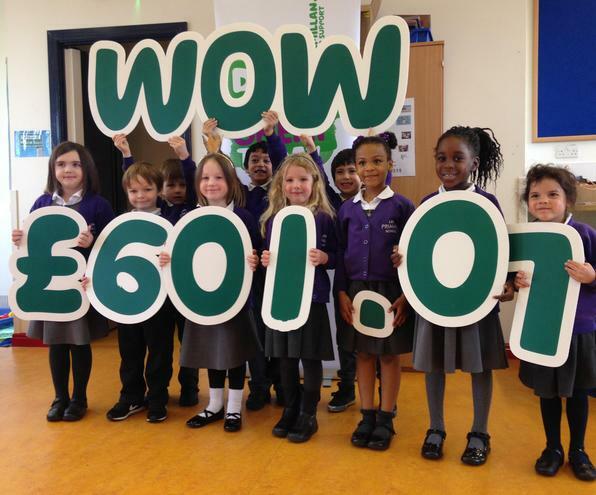 Lisa went on to tell the children a little about what Macmillan does to support people with cancer and their families, adding that the money raised by the school will help the charity as it aims to beat the record breaking £25 million that was raised through 2014’s World’s Biggest Coffee Morning.